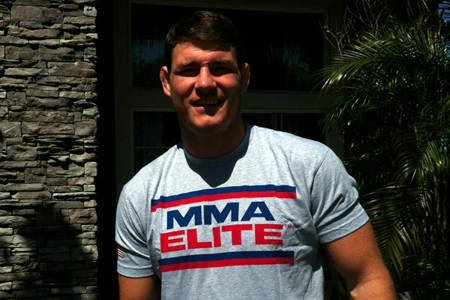 There were plenty of people intrigued with the highly anticipated rematch between UFC middleweight king Anderson Silva and Chael Sonnen, but perhaps nobody had a greater vested interest in the shootout than Michael Bisping (Pictured), who might be one dominant performance away from a title shot. Bisping and Strikeforce bantamweight champ Ronda Rousey were sitting side-by-side at UFC 148 and asked to provide analysis in the latest edition of “Full Blast.” Bisping did most of the legwork, as Rousey went MMA fanboy throughout most of the footage. “The Spider” just posted his 10th successful title defense, which is a UFC record, so be careful what you wish for. UFC 148 took place July 7th inside MGM Grand Garden Arena in Las Vegas.